When offering dental services to patients, oral surgeons and dentists must ensure a certain standard of care is provided. Despite being professionally trained and experienced, dentists can still commit serious mistakes. Such mistakes can lead to serious pains, unplanned further treatments, as well as significant financial burden on the patient. If such mistakes would not have been committed by a prudent and reasonable dentist under similar circumstances, then the dentist is liable for damages. This is commonly known as dental malpractice. If you have been a victim, Toronto dental malpractice lawyer can help you. Dental errors can be very painful. They might also lead to long-term complications, as well as other serious health problems. In other situations, patients can completely lose their sense of taste. Others might lose some teeth while others might suffer permanent or partial paralysis to the lips and face or even suffer from long-term chronic pain. Moreover, dental errors can be very expensive to correct. They might also affect the quality of life of the patient as well as their families. However, how do you build a dental malpractice case? Here are key elements involved. As previously highlighted, it is the duty of every dentist to provide you with a certain standard of competent care. If she fails to do that, then she has breached her duty. What you should remember is that, during a dental malpractice case, an unsuccessful or unfortunate result, does not directly translate to breach of duty. In medicine, there are no guarantees that a particular treatment will not lead to future complications, or will be entirely successful. However, there are clear-cut cases where a dentist breaches standard of care clearly. For example, she can remove the wrong tooth or even cause nerve damage due to a poorly applied injection. Cases of breach of duty, are usually proven with the help of professionals such as Toronto dental malpractice lawyers and licensed dentistry practitioner. For example, if your case involves an oral surgeon, Toronto dental malpractice lawyers will hire a medical expert with the same professional level as the accused surgeon, to build a strong case. Causation is one of the most important elements, when building a dental malpractice case. For example, it is practically possible for a dentist to breach her duty, in order to comply with certain aspects of standard care. This can happen without necessarily causing harm. In such a situation, you might never know whether there was any breach. A causal relationship has to be established, between the breach of standard of care, as well as the injury sustained. It is therefore important to consider whether an injury would still have occurred, even without your dentist’s actions. 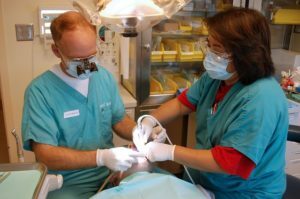 If the injury would not have occurred, if not for the actions of your dentist during his discharge of duties, then you can be able to prove causation with the help of Toronto dental malpractice lawyers. However, you will be required to support your claim with expert dental opinion. On the other hand, if the injury would still have occurred even without the actions of the dentist, then a causal relationship cannot be established, between the dentist’s alleged breach and your injuries. If you find yourself in such a situation, don’t waste your time and resources, since it will be very hard to prove causation. The final element needed to prove a dental malpractice case, is the issue of damages caused. Your case will definitely be dismissed, when there are no damages. As the plaintiff, it is your duty to prove that the damage you suffered resulted from breach of standard care, on the part of the dentist. Dental malpractice can be physical, financial and psychological. Physical damages include broken teeth and nerve damage. Financial damages might cover issues like costs incurred trying to correct the mistakes of the dentist. Damages can also be psychological. Your once beautiful and sensual smile can be damaged forever by an oral surgeon or a dentist. Your case will always stand, if the damages occurred due to the dentist’s breach of duty. Causation, breach, duty and damages, are the four main elements required to build a strong dental malpractice case. In case one of the areas is severely lacking, your case might not be allowed to stand ever before a jury hearing. That is why you need professional support from Toronto dental malpractice lawyers to prove your case. When filing your claims for dental malpractice in Toronto, you can claim two main forms of compensation. You might even be able to recover both of them, once you hire competent Toronto dental malpractice lawyers. These claims are economic and non-economic. Economic damages include direct financial loss as a result of the damages such as lost wages and medical expenses. Non-economic claims are not financial. They might include things like anxiety, pain, physical suffering, and loss of enjoyment. Once you speak to a dental malpractice attorney, they will first determine whether your case is strong. Once the lawyer establishes that in fact there was a certain level of negligence, which led to your injury, then a case will be filed on your behalf, to make claims. The attorneys will collect all the evidence needed, including medical records, witness statements and evidence, analyzing the current case laws, and even file the required paperwork. We work with some of the best medical experts, who can prove that in fact there was medical negligence. As you have seen, dental malpractice cases are serious issues. They require a lot of preparation and resources too. Since the reputation of the dentist is at stake, he is most likely going to deny any wrong doings. Malpractice insurance companies, only hire experienced attorneys. Therefore, they are able to mount a strong and aggressive defense. With that in mind, you require a Toronto dental malpractice attorney who is highly experienced and fully resourceful, to cover your interests. If a dentist breached his duty while providing care to you and you ended up with injuries as a result, then you should claim for monetary damages. Just remember that there is a certain time frame allowed, when you can sue for the dentist. If you fail to take action within this time, then your case might be thrown out. Therefore, reach out to use immediately when you find yourself in such a situation.